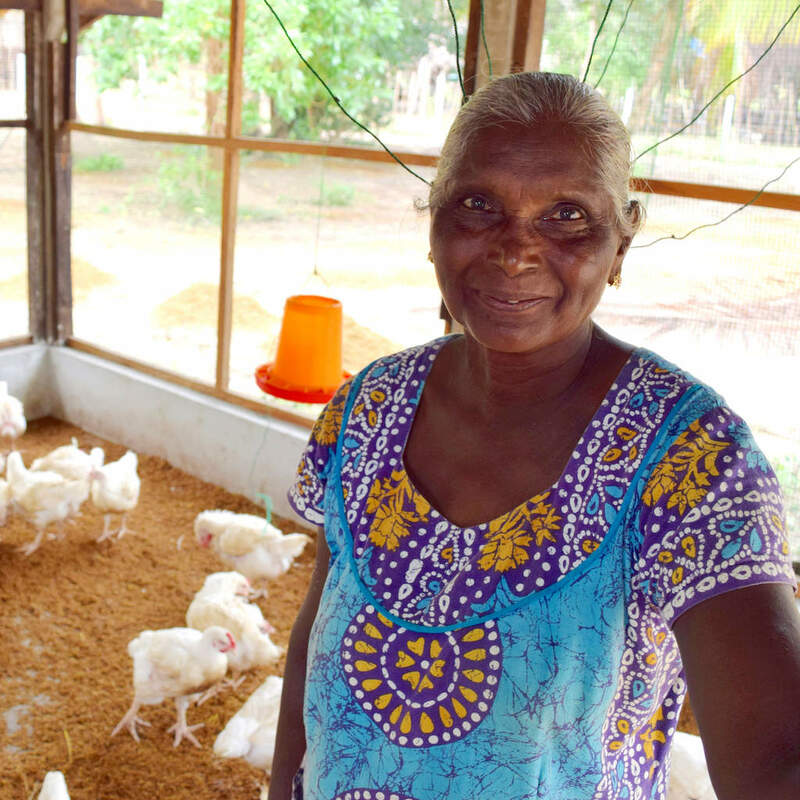 The Partners Worldwide journey in Sri Lanka is an inspiring example of our model in action—how we come alongside local community institutions to amplify their work to end poverty through business. We strive to build up permanent local capacity and catalyze our local partners so that they can equip and empower entrepreneurs in their communities long-term. Together with these local partners, we provide entrepreneurs with business and agricultural training, mentoring, access to capital, and advocacy tools. The result is the growth of a flourishing economic environment where people can live a more abundant life! 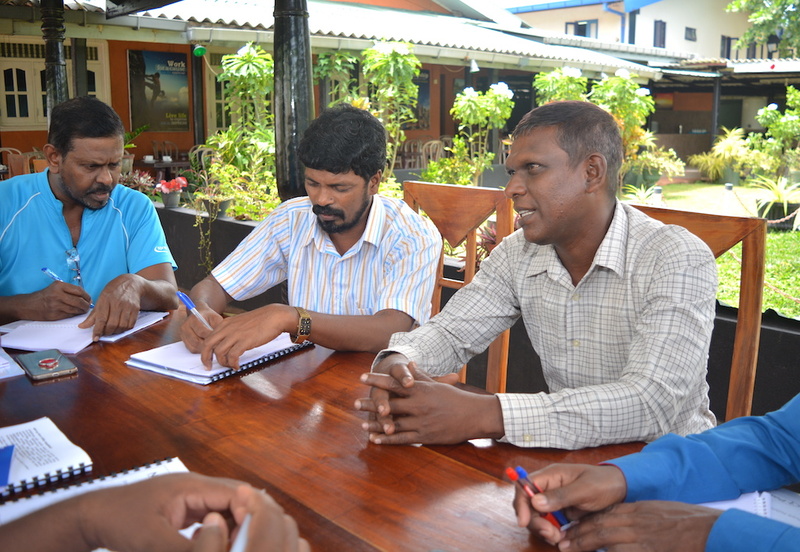 Our local partners in Sri Lanka currently include Hope for the Nation (H4N) and the National Christian Evangelical Alliance of Sri Lanka (NCEASL). H4N is a committed group of young Christians, pastors, and entrepreneurs, plus an extensive network of over 200 volunteers, who have a vision of bringing hope to Sri Lankans through spiritual, social, and economic transformation. NCEASL is a broad umbrella organization of all the evangelical denominations, churches, and organizations who are implementing various programs in missions, religious liberty, livelihood, health and hygiene, disaster relief, and more in Sri Lanka’s marginalized communities. Partners Worldwide first began partnering with H4N and NCEASL in 2013. At the time, both were doing great work to address poverty, but they lacked an understanding of the underlying problem of economics that is often at the root of poverty. So, Partners Worldwide helped both H4N and NCEASL understand that to effectively achieve their mission and goals it is imperative to address economic issues systematically. As a result, H4N began engaging with Christian businesspeople in the local churches, conducting vision-casting seminars, and helping form small groups for business owners in churches across the country. H4N also took the step of providing under-employed and unemployed youth with job training and encouragement in their vocational aspirations. The journey of transformation at NCEASL was slow but steady. Partners Worldwide staff met with them and shared the biblical basis and strategic need to create economic opportunities for those facing poverty. We helped them evaluate their current activities and guided them in creating their own cohesive and sustainable strategy that is both in line with their vision and the vision of Partners Worldwide. As part of our mission to build up the permanent capacity of locally-led institutions, Partners Worldwide sponsored one leader from each organization to attend a Train the Trainer workshop in Hyderabad, India, in 2016. This workshop helped the leaders plan for the future and equipped them to facilitate business training sessions using the Partners Worldwide business curriculum in their communities. Since that workshop over two years ago, we have witnessed remarkable progress in our Sri Lankan network! With H4N, Partners Worldwide helped increase the participation of business owners in H4N's leadership and implementation initiatives. Today, H4N has an active group of committed, Christian business owners who are helping conduct business training seminars for their members. These business leaders have even formed a group under H4N called Christian Business Network Lanka (CBNL), which focuses exclusively on empowering Christian entrepreneurs and youth to be effective witnesses in the marketplace while growing their businesses in a biblical way. This year, CNBL has conducted two business training seminars as well as a landmark event with Krish Dhanam, a coach trained by Zig Ziglar. CBNL approached the event with Krish Dhanam from a business perspective—starting with no budget, but with a goal to end with a surplus of at least 10 percent. And after hosting 70 business owners to an evening event with dinner at a city hotel, they did finish with a surplus! This itself is an indication of Partners Worldwide’s guidance in encouraging entrepreneurial mindsets. Another objective we are progressing towards is creating a community of Christian businesspeople who mentor each other in the various small groups H4N has formed. Several of the H4N leaders are also now mentoring others—one of them spends five hours every other week mentoring a group of 14 business owners, another two leaders helped conduct a training using the Partners Worldwide curriculum for ten entrepreneurs in a local church. Additionally, H4N helped translate the full PW business curriculum into Tamil, which can be used locally in Sri Lanka and in regions of southern India. At NCEASL, the momentum has been equally remarkable. Initially, Partners Worldwide sat with their key staff and helped them revise their approach to ending poverty. NCEASL devised a strategy of creating a national pool of business trainers using the Partners Worldwide business curriculum and mentoring process. These trainers will work with hundreds of small and micro business owners who are currently NCEASL clients. In June of 2018, NCEASL conducted the first Train the Train workshop to help launch these business trainers and 17 individuals graduated! One of the coaches recently held his first business training for 21 entrepreneurs in his community, and he plans to conduct several more trainings in the future. NCEASL conducted another Train the Trainer workshop last month to equip even more business coaches to lead business training across the country. Other business coaches are also preparing to implement Partners Worldwide’s training and mentoring model in their respective communities. This momentum is inspiring, and we are looking forward to witnessing this impact expand in the years to come! Our journey in Sri Lanka demonstrates Partners Worldwide’s unique role as a catalyst. We have strived to help local organizations gain clarity on their mission and more effectively alleviate poverty by attending to the underlying economic causes of poverty. The progress we have made has been slow but consistent. Our systematic approach drives change gradually, yet it is already bringing results. As we continue to equip and serve our local partners, these impacts will only increase! 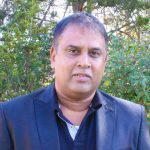 God’s gracious guidance has been evident at every step throughout our journey in Sri Lanka. We are prayerfully working to ensure that the momentum we’ve generated is both maintained and increased so that all the aspiring entrepreneurs in Sri Lanka can be equipped and empowered to grow flourishing businesses—resulting in more families stepping out of poverty for good. If you are interested in joining our work in Sri Lanka, there are many ways to get involved! There is a need for financial support to host more Train the Trainer events and business training seminars and to provide ongoing support to these business coaches. Lastly, there is a need for mentors and subject matter experts, since the entrepreneurs in our local network work in various industries. 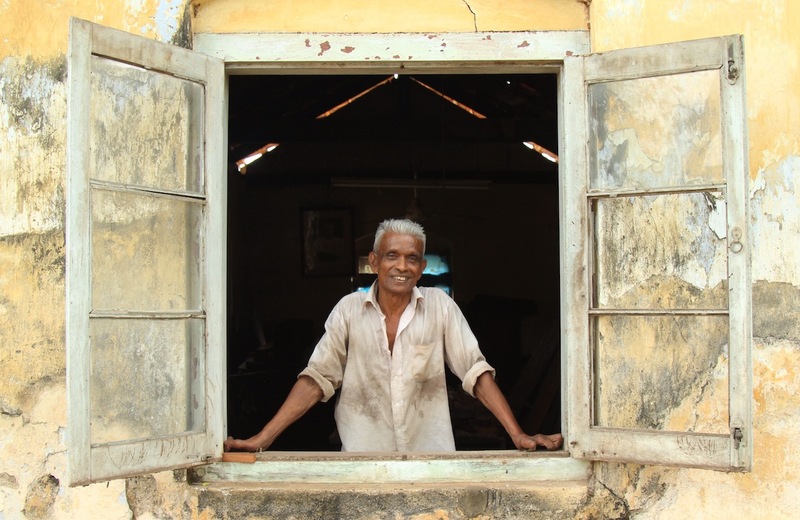 Despite living with leprosy, Ananda supports himself and his family through woodworking. More than anything, please continue to pray for our local partners and our relationships with them. With God's blessing and guidance, your partnership and encouragement, and continued collaboration with H4N and NCEASL, we believe the future of Sri Lanka is bright!